No need for your guests to BYO. 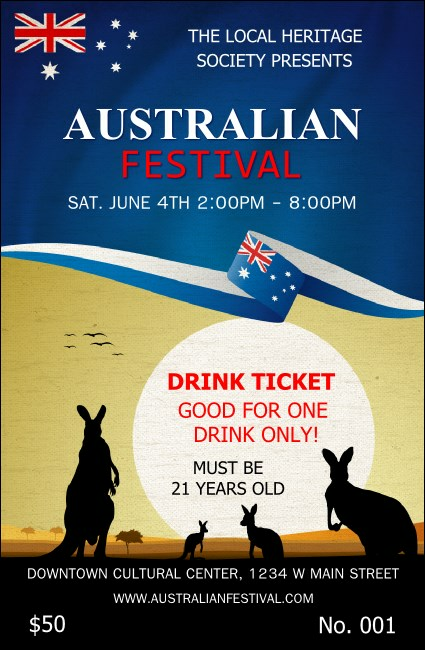 Organize your guests and service staff with the Australia Drink Ticket. Kangaroos congregate in front of the setting sun, with a deep blue flag flying overhead on this template. Serve up lolly water, Cab Sav, or some amber fluid at your celebration!